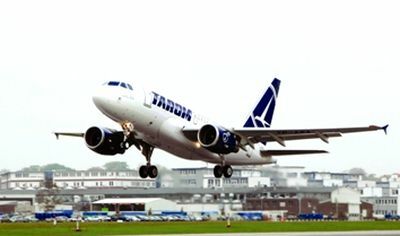 Romanian state-owned airline Tarom increased its market share by 1.4 percent in 2018 and recorded a 40 percent increase in the number of passengers flying on domestic routes compared to 2017. For 2018, Tarom reports a sales increase of USD 49.6 million (+ 21 percent) and total revenues also up by 21 percent compared to 2017, reaching RON 1.41 billion. Total sales (tax included) grew by 21 percent to more than USD 237.1 million. The biggest increase was recorded for international flight sales (22 percent), with a 14.8 percent growth in the number of passengers on these flights. As for domestic flights, sales grew by 18 percent, while the number of passengers increased by 40 percent. The total number of passengers who flew with Tarom on regular routes in 2018 exceeded 2.74 million – a 20 percent growth compared to 2017 and the largest number of passengers transported by the company in the past decade. Online sales had a 34 percent growth in 2018 compared to the previous year, up to USD 10.3 million. According to preliminary results for 2018, Tarom’s EBITDA (earnings before interest, taxes, depreciation and amortization) is positive, at RON 10.89 million, compared to a loss of RON 33.26 million in 2017. It is the first time EBITDA has been positive since 2015. 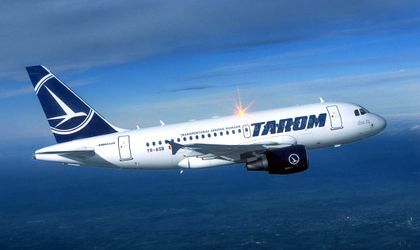 In 2018, Tarom managed to cut its losses by 23 percent (around RON 40 million). The losses were headed by the 37 percent increase in aviation fuel costs, according to the company. Tarom is Romania’s National Air Transport Company and it was founded in 1954. It is under the authority of the Transport Ministry and has been a member of the SkyTeam Alliance since 2010. The airline operates on more than 50 own destinations.